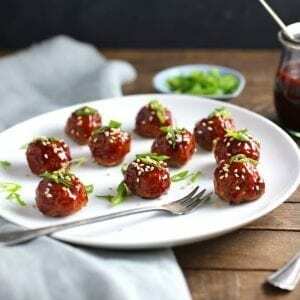 These Korean cocktail meatballs, sweet and spicy, are so tiny and cute and delicious you might forget there’s even a game on. It’s no secret that I’m not really a sports person. I’m the type of nerd who avoids sports bars at all costs. And if I was forced to go to one, I would probably hide in a corner with a book and a set of earplugs. Luckily for me I married a man that hates watching sports even more than I do. Other than the World Cup and the occasional Wimbledon match, our house is a strictly sports-free zone (unless you consider marathon-watching season 2 of Fargo a sport, which I do). But there’s one aspect of Superbowl madness I can unequivocally get behind. Game day snacks. Game-day food, Superbowl snacks, finger food, whatever you want to call it, I like it all. 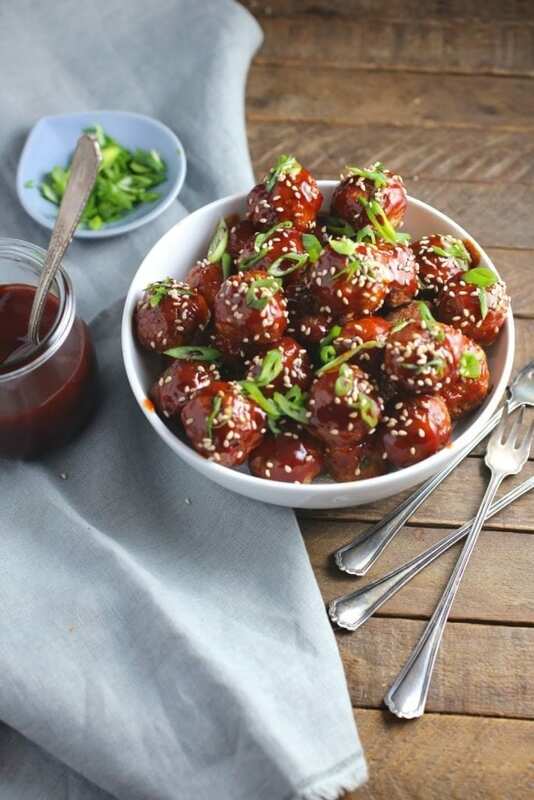 Cocktail meatballs have been a party staple forever and it’s because they’re damn delicious. 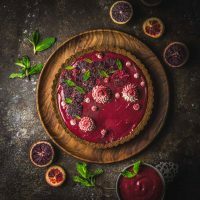 The classic version is made with grape jelly and chili sauce which sounds kind of gross but is really tasty in a retro, don’t-tell-anyone-I’m-eating-this kind of way. 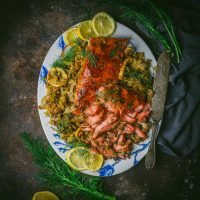 I wanted to make a modern version and since I love Korean flavors, I decided on a sweet and spicy gochujang glaze. Our version is adapted from this great recipe from one of my favorite blogs, Spoon Fork Bacon. 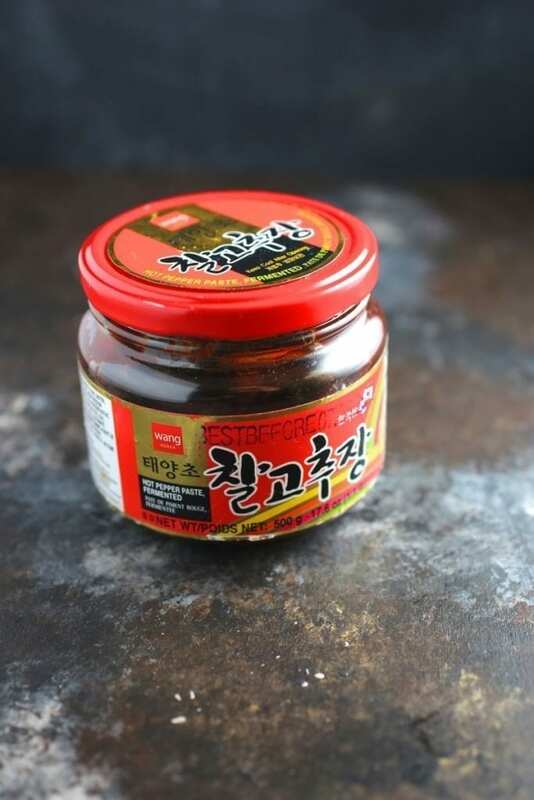 Gochujang is a spicy fermented chili paste that’s a staple in many Korean dishes. You could think of it almost like a spicy version of Japanese miso, since it balances salty and sweet flavors along with the spice. It’s pretty easy to find these days (our local grocery store carries it), though it’s much cheaper at our Asian market. Of course, you can always find it on the internet. Be advised, the heat level varies greatly brand to brand so it can be difficult to gauge exactly how much to use until you’ve cooked with it. My advice is to use a little less to start because you can always add more but you can’t take it out. Like miso, it has a very long shelf-life so don’t worry about using it all up once it’s open. 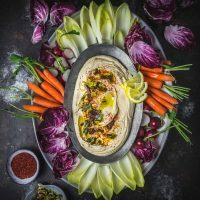 Store it in the refrigerator and add it to meat marinades, salad dressings, tacos, and any other dish you want to add spice to. Using a portion scoop helps keep them even. Cocktail meatballs ready for the oven. 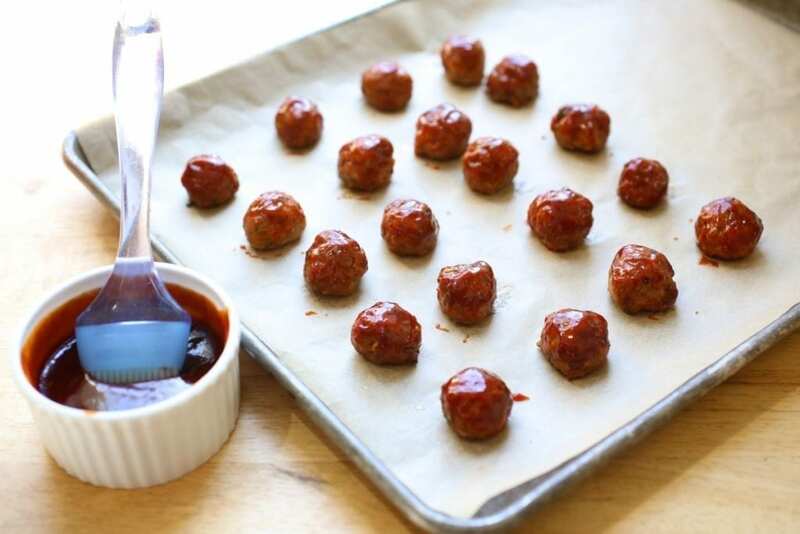 Glazed cocktail meatballs ready for garnishing. You can substitute turkey for the pork and beef. You can use cooked white rice or rice flour in place of the panko for a gluten free version (make sure to buy a GF gochujang). 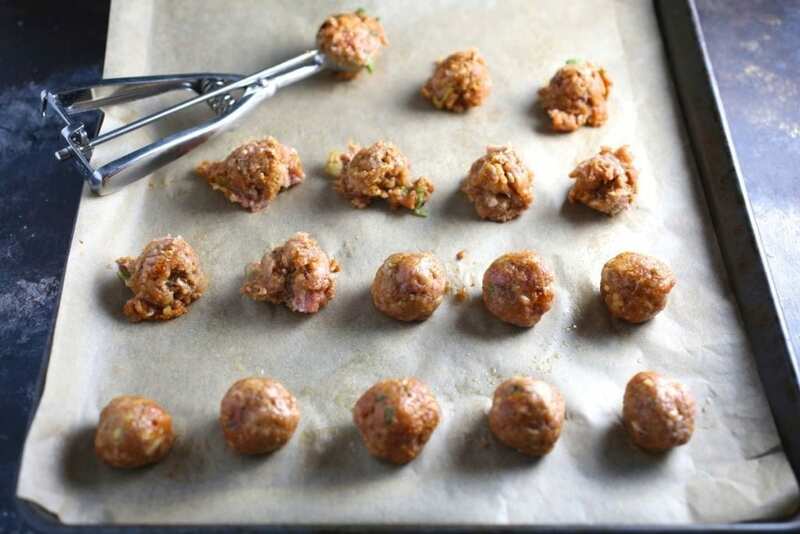 You can make these ahead by refrigerating or freezing the cooked but unglazed balls. When ready, place them on a parchment -lined baking tray in a 350ºF oven until warm (no need to defrost). They’ll take 10-20 minutes to heat. Then follow directions for glazing. These make a great dinner with a bowl of rice or noodles and a Quick Pickled Cucumber Salad. Using a portion scoop helps keep the balls even, though it’s pretty easy to eye it. Place all the meatball ingredients into a large mixing bowl and, using your hands, mix together until completely blended (but don’t over-mix). Meanwhile combine all glaze ingredients in small pot. Bring to a simmer over medium heat and cook until mixture is slightly thickened, about 5-7 minutes. Set aside and let cool. 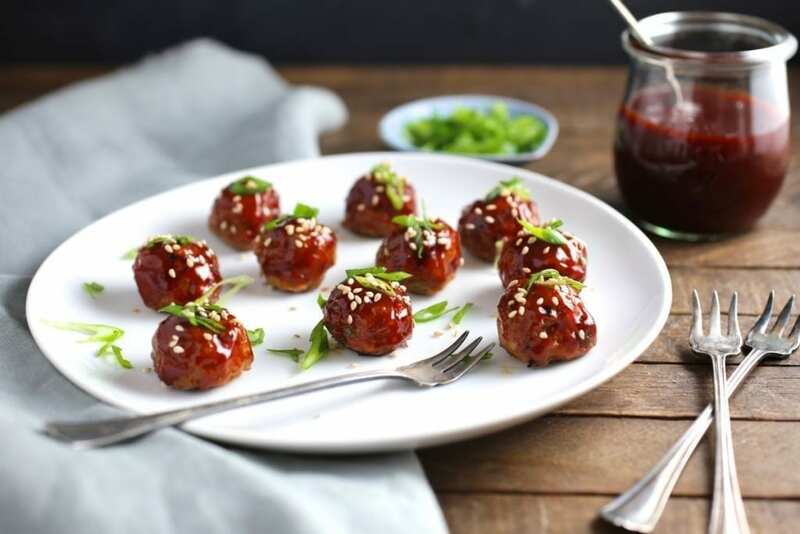 Brush glaze onto meatballs and top with green onions and sesame seeds. Serve with extra gochujang glaze on the side for dipping. 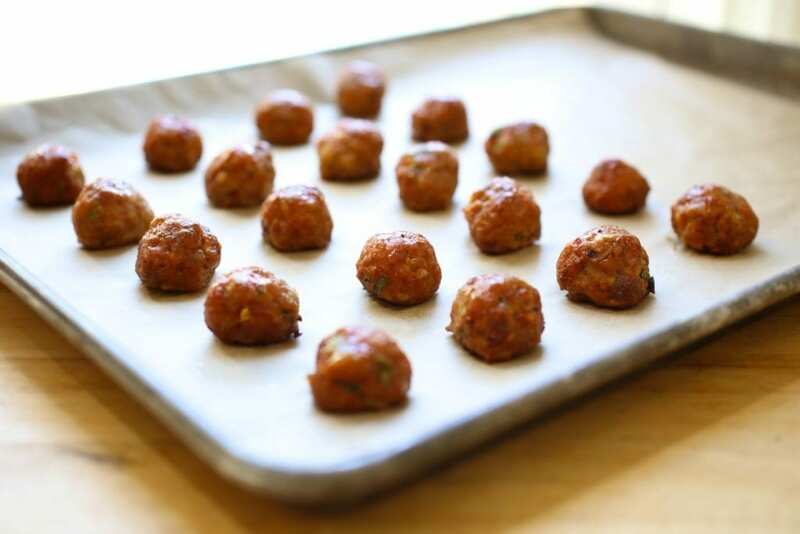 Meatballs can be cooked ahead and refrigerated or frozen. About 30 minutes before you want to serve them, bake them on a parchment-lined baking tray in a 350ºF oven until warm. No need to defrost, if frozen. They should take about 15-25 minutes to reheat. Then glaze and serve. 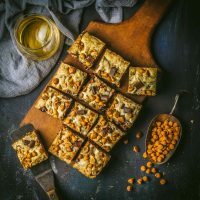 These look seriously great, I am going to try them. 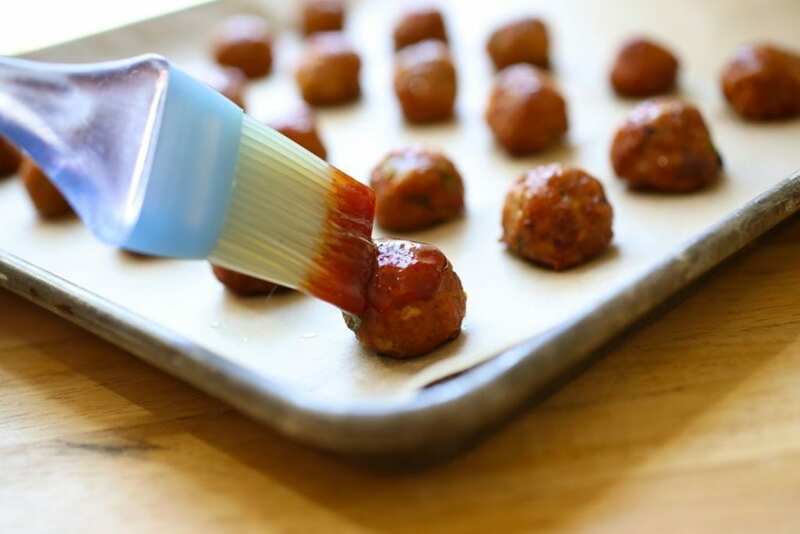 I love the idea of glazing meatballs this way! Thanks! ps you might need a few little deb prep bowls to hold the glaze! Thanks deb! And I agree about the bowls. Beautiful. Made these tonight and they were so tasty! 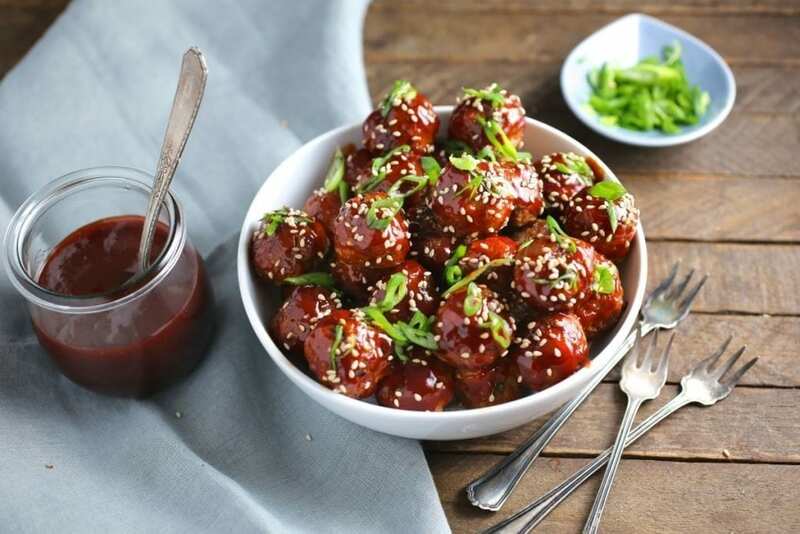 I love meatballs and spiciness! Yum. I’m pinning these babies to take to cookouts, everyone usually brings the same things, spice things up a bit.